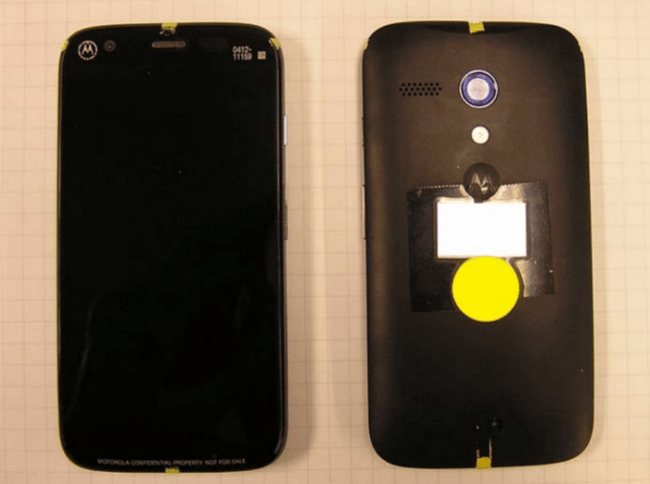 Did The Australian Version Of The Moto X Just Visit The FCC? Earlier this year on March 13, Ausdroid reported that we had been tipped off about a rumour that the Moto X would not be coming to Australia due to the limited size of our market. Motorola apparently wanted Telstra to commit to 25,000 devices but they would only agree to 15,000. The part about Australia missing out on the Moto X was unfortunately proven to be true when the Moto X was released and we were snubbed by Motorola. At the time it was rumoured that a different version (read “stripped back and cheaper”) of the Moto X would be made available internationally thanks to Motorola CEO Dennis Woodside’s comments. At the time there were no other rumours of the DVX. Yes, you heard it here first! Today a phone codenamed the Motorola DVX passed through the FCC, again. Last time a Motorola phone appeared at the FCC a reddit user dug into it and found that one of the codenames belonged to a phone called the DVX. The phone is a GSM device, not CDMA so could well be the device coming here. At this stage that is all that is known about the device but after hearing great things about the Moto X we can only hope this phone is not too far-a-distant cousin of the Moto X. As of tomorrow it is officially 12months since Motorola has launched a phone in Australia so I think Motorola had better hope this DVX is firstly on the market here in Australia very soon and secondly that it is a halfway decent device before they become even more irrelevant in the Australian market. Are you interested in this Moto X version or are you not enticed by a cheaper, stripped down version of the Moto X? If I bought one from the USA, there’s no way a Moto X would work here, right? There’s no simple mod you can do? Technically one of them will work on the Australian 3G/HSPA network but none of the LTE bands inside are compatible with our LTE networks here in Australia. I want the Moto X. I don’t care if it’s expensive as IT IS the future. I don’t want some cheap cousin as a replacement. Telllllllllllstra! Do I want a watered down version of a watered down phone. Umm. No. The spec war might be “dead” in 2013 but if you carry your phone for more then 12 months and want snappy performance then I’d keep it alive. Consumers have the right to buy whatever they want. You don’t know the specs so it could be just as good. First of all, I expressed the hope that Australian connedsumers would not buy the Googlrola DVX, not that they must not buy it. Second, Googlrola’s statements made at the launch of the MotoX were that other markets would get ‘exciting and cheaper versions’. How can a cheaper device not be anything other than a crippled and cut down version of the real deal? Not sure I understand your beef with Googlerola on this one. They are an American company; their Global Reach is only because most of their product is online. I hope Americans don’t Boycott Ug Boots because they’re more available in Oz! !